Are you looking for a way to get more peace and quiet in your workplace? 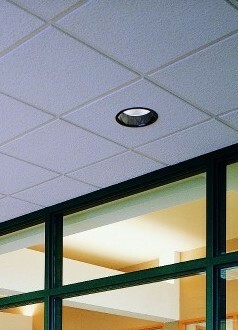 Whether you want to improve production by cutting out noisy distractions or have the items discussed in your team meeting stay among the team, you can count on the products at Couser Supply, Inc. Our acoustic ceiling tiles in Columbia, MD, are sought throughout the country, and we are happy to offer them to all sorts of businesses throughout the local community. Whether it's an office building or a daycare, we know everyone could use a quieter, calmer indoor environment. And with our acoustical ceiling tiles, that's exactly what you'll get. Give greater peace of mind to your employees, customers, and guests by turning to our professionals. We can recommend the products that work perfectly for your needs and your budget. Our acoustic tiles work by increasing both sound insulation and sound absorption. Factors such as the size and shape or a room, as well as the building materials, all affect what can be heard inside and outside of the room. These tiles have specially made fabric that prevents many of the sound waves from escaping the area. If you've ever stood in a large, empty room with hard-surface floors, you can understand how difficult it can be to be able to hear each speaker. That's why our tiles also have a specific texture that absorbs sound waves so you can hear people talking much more clearly within the room. Are you ready to increase productivity and overall health in your workplace? Then it's time to cut back on the noise. Many studies have shown that excessive noise in a workplace leads to anxiety for employees, which can be detrimental to both their mental and physical wellbeing. In these cases, employees don't feel comfortable and can get very distracted by their surroundings. But with our tiles for your workplace ceiling, you can make a positive change in your office environment. Call our professionals to get customized options for your tiles. Because each workplace and the rooms within it are different, it's important to get acoustic tiles that work effectively for you. Our contractors look at the building materials for the floors and walls, as well as how large the space is to determine the type, shape, and number of tiles that will work best for you. Ready to make your workplace quieter and more productive? Contact us today to learn more about our acoustic ceiling tiles. We are happy to serve commercial customers in Columbia, Maryland.